Though the names book I'm using calls this taxa the Big Bend Spotted Whiptail, I am much more fond of its other common name, the Rusty-rumped Whiptail. 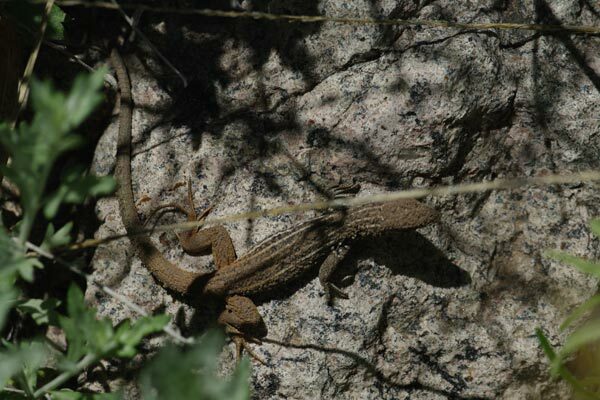 These lizards and their rusty rumps are supposed to be common in the Chisos Mountains, but I think we were too early in the season to witness this lack of rareness. We saw just two whiptails, both of them very small ones, and neither of them cooperative. You can see that this one had only recently emerged from a subterranean lair, as it is covered with dirt.